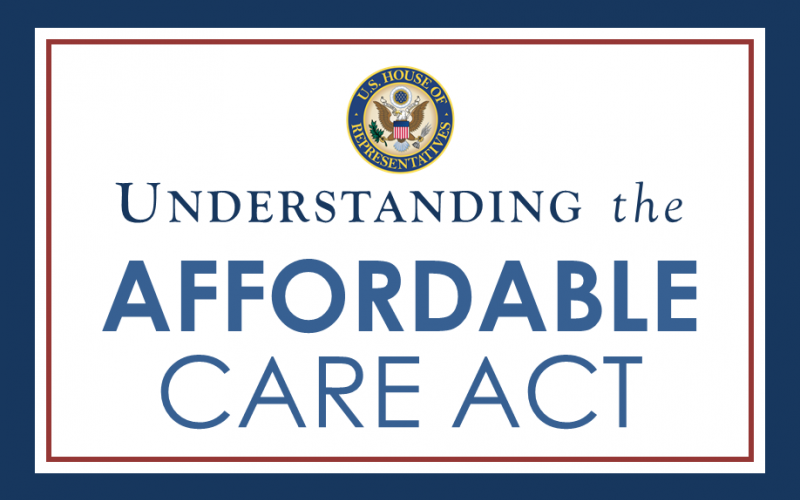 The Affordable Care Act (ACA), commonly referred to as ObamaCare, was signed into law March 23rd, 2010. ObamaCare was upheld by a Supreme Court ruling on June 28, 2012. While President Trump wished to “Repeal and Replace” ObamaCare, a full repeal requires 60 votes in the Senate, so that and the current Democratic majority in Congress make that very improbable. Under the ACA, health insurance is required by law or you’ll pay an escalating tax penalty. Any person without qualifying health coverage must pay a tax penalty, either a flat rate or a percentage of your household income, whichever is greater. Open enrollment for qualified health insurance plans closed both on-exchange and off-exchange on January 15th, 2019. It will re-open on November 1st for plans with a January 1st, 2020 start date. After open enrollment closes, you may still be able to get coverage if you have a Qualifying Event that triggers a Special Enrollment Period. The lowest-value plan will be bronze, in which patients will be responsible for about 40% of the costs of covered benefits. 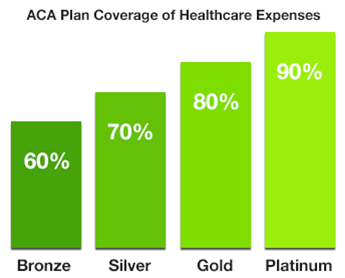 For the silver plans, policyholders will pay 30% of the costs; for a gold plan, 20%, and for a platinum plan, 10%. These “Metal levels” are supposed to help consumers compare insurance plans with similar levels of coverage, but they are NOT identical so it’s important to carefully evaluate the plan options. The new ACA plans cap current out-of-pocket costs to $6,850 per calendar year. So Many Choices Where Do I Start? Comparing ACA plans inside and outside the exchange against current coverage is no easy task, but we’re here to help. Colorado Health Insurance Brokers are certified producers of Connect for Health Colorado and also work directly with ALL of Colorado’s major carriers. We have specialized knowledge of the Colorado’s insurance carriers and plans that are unmatched by any of the national web brokers. We’ll even help you see if you qualify for a subsidy and help you get the subsidy that reduces your out of pocket premium cost. There is no extra cost for our services and the plan premiums are identical. Get a quote and more information about ACA plans in Colorado. Was this information helpful? Click the button below to share this on Facebook, Twitter or email.